If you are looking for ice maker repair, we can help. We are ice maker repair specialists with more than 30 years of experience. We repair all brands and models of ice makers such as Avalon Bay, NewAir, Hoshizaki, Ice-O-Matic, Manitowoc, Marvel, Orien, and Scotsman. Our repair service is professional fast and affordable. Our skilled technicians will be able to determine what is wrong with your ice maker quickly. They will order genuine, high-quality parts for you if necessary and will skillfully install them. We are confident that your ice maker will work as good as new after an appointment with us. Sometimes ice maker starts acting up. It’s not cooling as well as it should, leaking water, produced dirty ice or becomes rusty inside. You need help from a professional to fix it. We are such professionals. Our team is factory trained and certified. They know ice making machines in and out. Our technicians are up to date on the latest tech in appliance repair. They will be able to find the right solution for you and make sure that it’s affordable. Customer satisfaction guaranteed! Besides having a great technical team, we also offer fantastic customer service. We try to make the experience as easy and as convenient as possible for our clients. That includes friendly and respectful attitude from our employees. In fact, our staff will go out of their way to help you. It also includes our FREE service call with repair and a FREE, accurate estimate. Also, our scheduling is very flexible. We will work on the weekend and after afternoons if it’s convenient for you. Finally, our prices are very reasonable. We try to treat our customers fair and give them the most professional service possible. 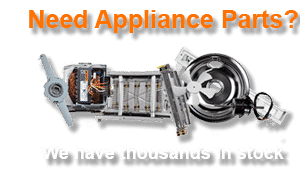 Oregon Appliance Repair has been in appliance repair business for more than 30 years. We are a family owned, and family managed a business. We repair all brands and models of kitchen appliances. For example Asko, Avanti, Bosch, Certified Appliance, Curtis, Dacor, Danby, Electrolux, Fisher & Paykel, Frigidare, GE, LG, Kenmore, KitchenAid, Maytag, Miele, Samsung, Siemens, Speed Queen and Whirlpool. Our team can repair any appliance in your kitchen or your washer and dryer. We are number one when it comes to refrigerator repair, washer repair, dryer repair, dishwasher repair, stove and range repair, oven repair, steam oven repair, microwave repair, freezer repair, barbecue repair, pizza oven repair, patio heater repair and much more. But that is not all. We also do a commercial repair for our customers. For example, we are specialized in fixing any brands or models of commercial refrigerator, commercial ice maker, and commercial oven. If you need a repair, just give us a call, and we will be on our way. Our service area includes Brend, Oregon as well as Mountain View, Old Farm District, Old Mill District, Orchard District, Pine Grove, Powell Butte, Prineville, Redmond, and Simnasho. 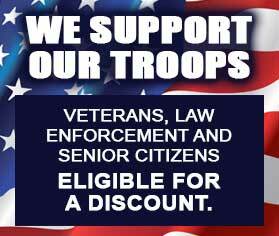 Please check with us to find out if we serve your area. Whatever the issues are, our technician will find the best solution possible for you. 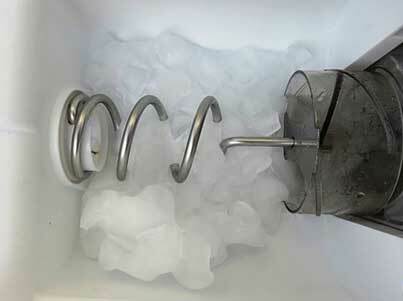 Sometimes all it takes is some tinkering with your ice maker or changing some settings. But often parts may need to be replaced. In that case, we will be happy to order those parts for you. Sometimes we even have those parts in our warehouse. In any case, it will only take a couple of days to a week. As soon as we get those parts, our technician will get to work professionally installing those parts. Our team incredibly details oriented and knows what they are doing. So you can be sure your ice maker is in good hands. After the job is completed, we will clean up after ourselves. We will also make sure that your appliance is working great and is safe. You will get an ice maker that works as good as new. Our company has more than 30 years of experience in ice maker repair. We know our job well and do precise work. When we repair your appliances, you can be sure that it will work well and will be safe to use for a long time to come. Our technicians are all factory trained and certified. They know everything there is to know about appliance repair and about ice maker repair in particular. We promise you an easy and convenient experiencing with great results! For ice maker repair, please call us at 541-948-8835 or fill out our short contact form. We will be happy to set up a convenient appointment for you. Our friendly and highly skilled licensed technicians will soon be on their way to repair your appliances. We do ice maker repair Bend, Eugene, Portland, Central Oregon, Crook County, Deschutes County, and Jefferson County. If you are looking for ice maker repair, we can help. We are ice maker repair specialists with more than 30 years of experience. We repair all brands and models of ice makers such as Avalon Bay, NewAir, Hoshizaki, Ice-O-Matic, Manitowoc, Marvel, Orien, and Scotsman.